Style Notes: New Year’s Eve. ‘Tis the season to sparkle! With New Years Eve just around the corner (how did that happen so fast? ), here a few ideas for accessories you can add to dress up a little black dress that’s already hanging in your closet (or consider buying a new one — this Old Navy version is under $20!). One accessory not pictured: copious amounts of champagne—cheers! I love Fall fashion as much as the next girl, but I tend to put off new clothing purchases until that first super chilly Autumn day when I realize none of my jeans from last season fit me and my old coat has a coffee stain on it that I never got dry-cleaned out. Well, that first extra-chilly morning arrived this week in Boston, and just like that, I’m on the hunt for some closet updates to get me through the season! 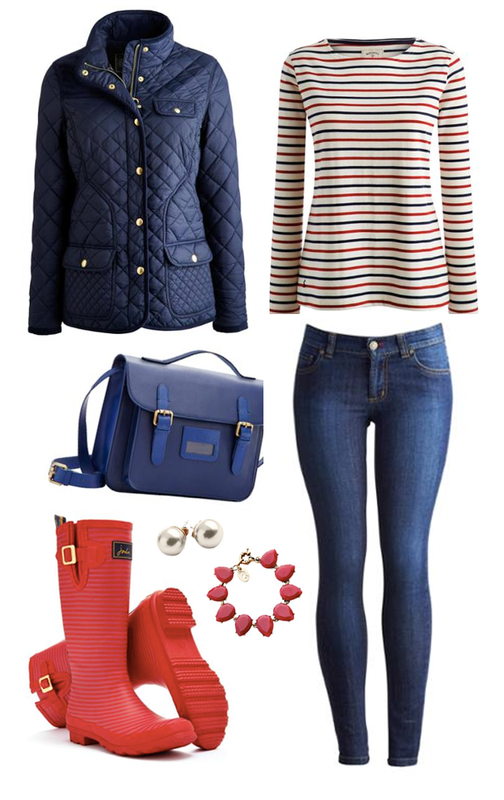 On my radar: a crisp new quilted barn coat, cozy Parisian-chic striped tees, and a fresh pair of skinny jeans to tuck into boots! Please note: I have received compensation for partnering with Joules on this post, all opinions are my own. 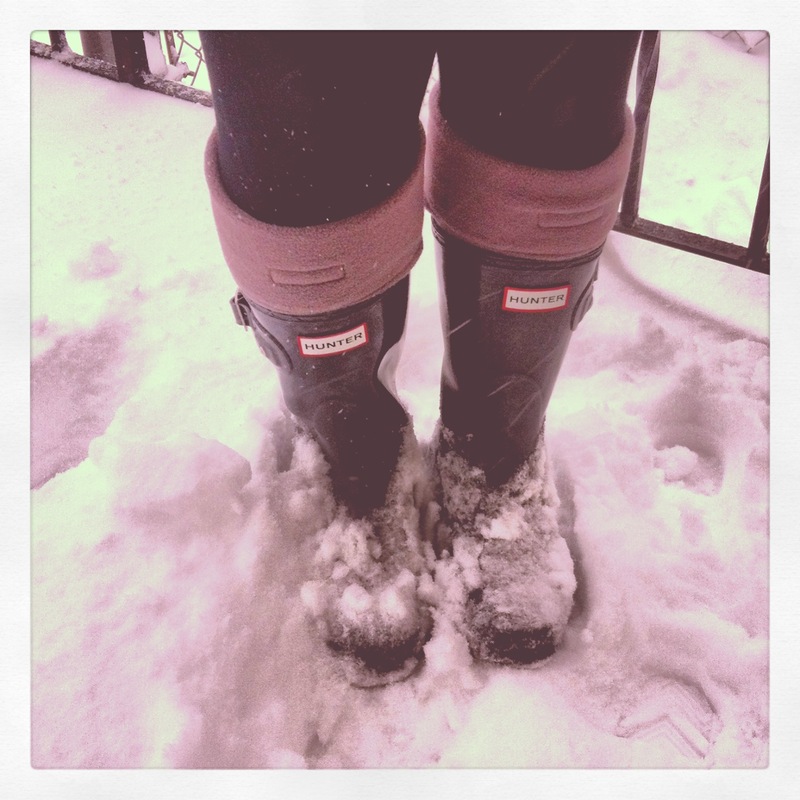 I’ve never been much of a winter boots girl — despite almost 10 years living in Boston. I’ve always opted for rain boots during New England winters because of the slushy mess I tend to trudge through during my commute. 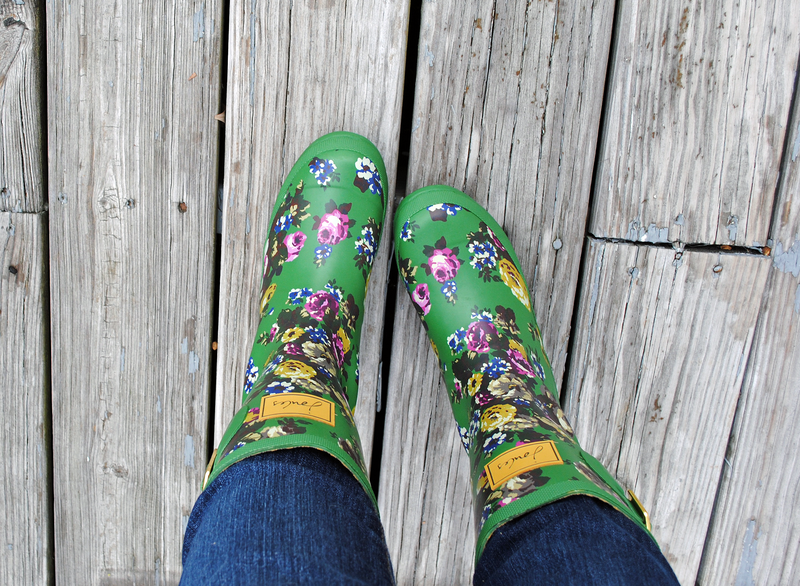 Recently, I got sent a pair of adorable Joules rain boots to take for a test run and I absolutely love the patterns they come in – stripes, florals, even a darling fox print (plus the mid-height boots are perfect for those who are vertically challenged like me!). The cheery floral pattern I chose makes having to weather a gray day just a little more tolerable. I’m eyeing a pair of the striped rain booties next! 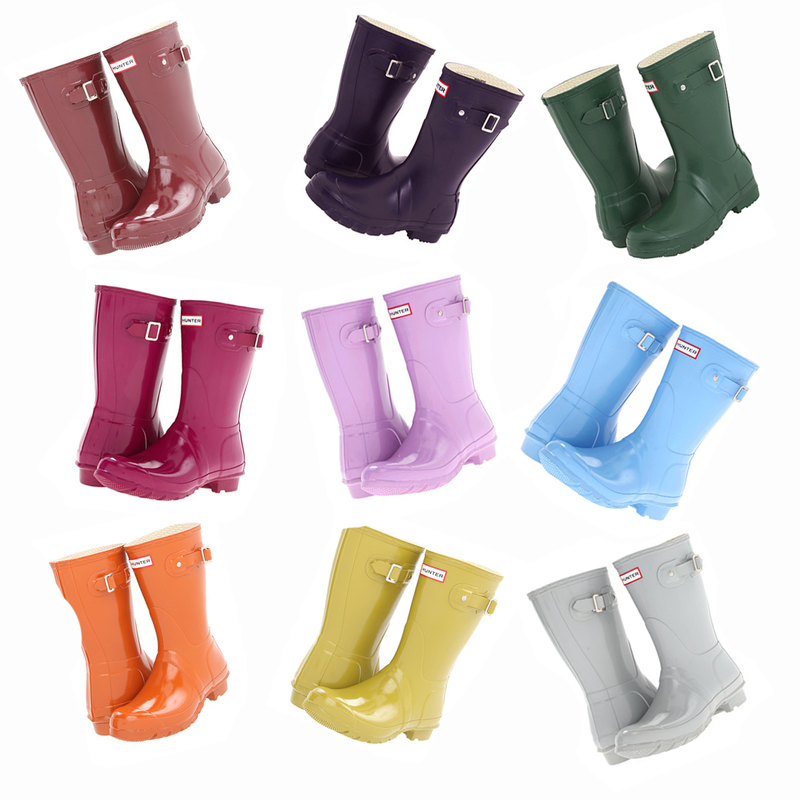 Wellies c/o Joules USA, all opinions are my own. Just what I needed, another adorable catalog to pop up in my mailbox, right? 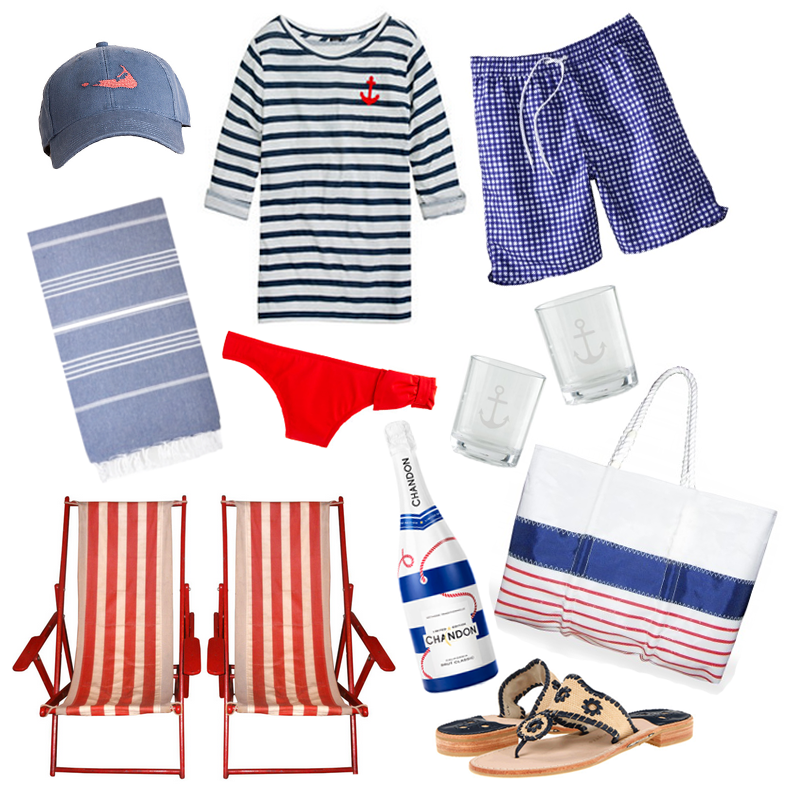 I’m currently being tempted by new-to-me retailer Joules USA with all of their uber-preppy striped clothing. 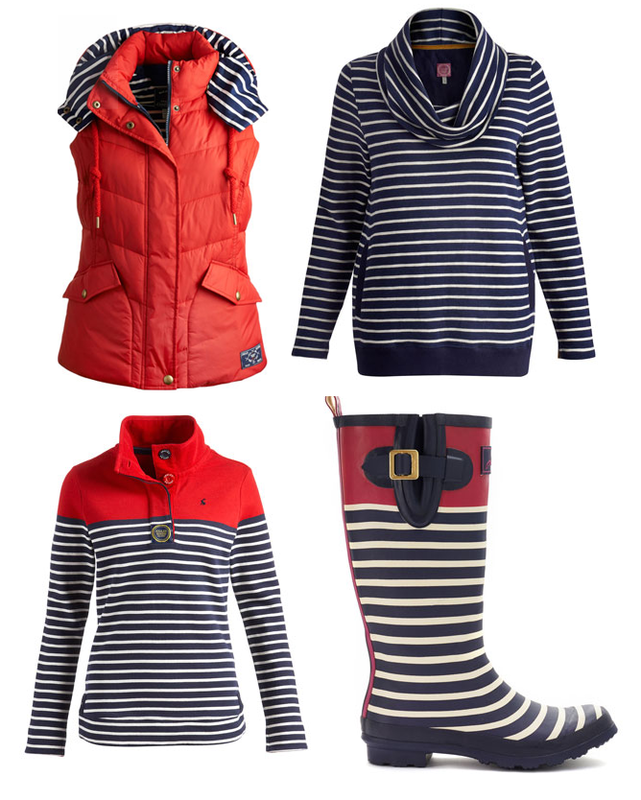 From cozy cowl-necked sweatshirts and rugby shirts, to cheery wellies, I’m absolutely smitten. And that fluffy red vest with striped lining just wants to come to home with me! I need it, right? I’ve been feeling a little uninspired in the fashion department lately — wearing professional clothes in the heat of summer is a bummer, and when I get home all I want to do is get into the comfiest (and lightest) outfit possible and park myself in front of our AC. So in an effort to muster up a little more effort, I’m going to try to mix just a tiny bit of prints this week. I like the combination of these quintessential preppy patterns: pink gingham and soft postal stripes, with natural tones of cheetah and tortoiseshell. 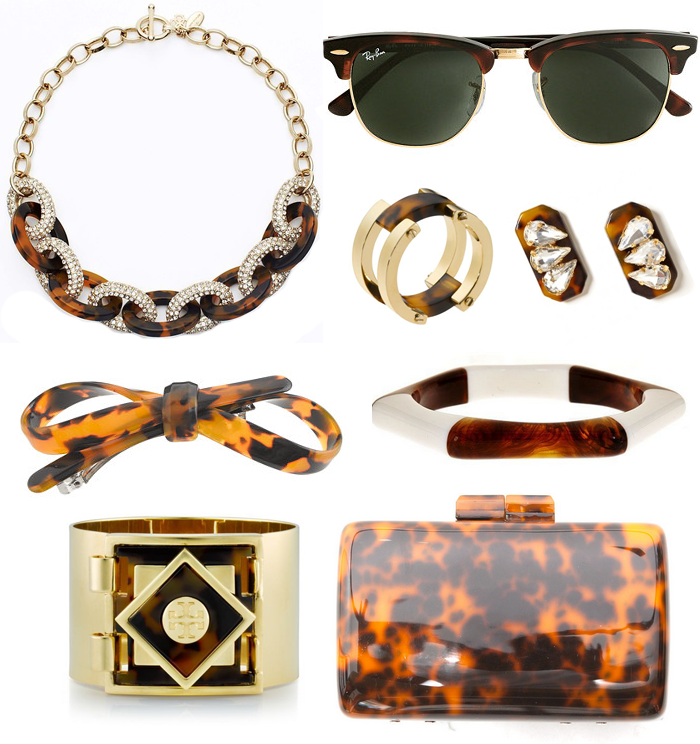 Spicing up accessories is just enough effort for 90 degree weather, right? Happy Fourth of July! This is one my absolute favorite holidays — what’s not to love about a day of sparklers, classic red white and blue outfits, and delicious bbq? I’m off to spend my day by the pool with friends, and then to see the Boston fireworks tonight. Hope you have a fabulous day celebrating too! As I was trudging through 2+ feet of snow snow this weekend I realized I’ve lived in Boston for 9 winters now, and every single year I have procrastinated buying appropriate footwear for these types of weather conditions. I finally broke down earlier this year and bought a pair of Hunter boots with fleece lining after my gazillionth pair of cheap wellies bit the dust. And let me just tell you, as I pulled on my boots and headed out into the storm it hit me, this is what being an adult feels like: having warm, dry toes. So bring on the cold and the slush Boston, I’m finally ready for you.